^ "Chicago's Front Door:Chicago Harbor." A digital exhibit published online by the Chicago Public Library. . Retrieved October 20, 2007. ^ Hodge, Frederick Webb (1911). Handbook of American Indians north of Mexico, Volume 1. Smithsonian Institution, Bureau of American Ethnology. p. 597. OCLC 26478613. http://books.google.com/books?id=ze4YAAAAYAAJ&pg=PA597. ^ Stewart, George R. (1967) . Names on the Land:A Historical Account of Place-Naming in the United States (Sentry (3rd) ed.). Houghton Mifflin. ^ Callary, Edward (2008). Place Names of Illinois. University of Illinois Press. p. 169. ISBN 9780252033568. http://books.google.com/books?id=ZvHgwa-XImcC&pg=PA169. ^ Costa, David J. (2007). “Illinois:A Place Name”. Society for the Study of the Indigenous Languages of the Americas Newsletter XXV: 9-12. http://www.myaamiaproject.org/OtherFiles/CostaNewsletter.pdf 2010年5月5日閲覧。. ^ a b c d e f g Nelson, Ronald E. (ed. ), ed (1978). Illinois:Land and Life in the Prairie State. Dubuque, Iowa: Kendall/Hunt. ISBN 0-8403-1831-6. ^ a b c d e Horsley, A. Doyne (1986). Illinois:A Geography. Boulder: Westview Press. ISBN 0-86531-522-1. ^ "Annual average number of tornadoes, 1953-2004", NOAA National Climatic Data Center. Retrieved on October 24, 2006. ^ a b c d Biles, Roger (2005). Illinois:A History of the Land and its People. DeKalb: Northern Illinois University Press. ISBN 0-87580-349-0. ^ See Statemaster. Retrieved 29 July 2007. ^ Illinois Department of Revenue. Individual Income Tax. Accessed May 27, 2006. ^ "Illinois in the Global Energy Marketplace", Robert Finley, 2001. Illinois State Geological Survey publication. 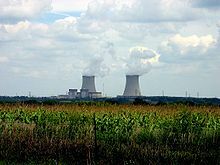 ^ United States Department of Energy. Petroleum Profile:Illinois. Retrieved April 4, 2006. ^ Pensoneau, Taylor (1997). Governor Richard Ogilvie:in the interest of the state. Southern Illinois University Press. p. 80. ISBN 978-0809321483. http://books.google.com/books?id=bxNGKsylQXUC&pg=PA80&dq=kane+dupage+lake+cook+democratic&lr=#v=onepage&q=kane%20dupage%20lake%20cook%20democratic&f=false 2009年9月23日閲覧。. ^ Gimpel, James G.; Jason E. Schuknecht (2004). Patchwork Nation:Sectionalism and Political Change in American Politics. University of Michigan Press. p. 359. ISBN 978-0472030309. http://books.google.com/books?id=rxQXjjzwrzEC&pg=PA359&dq=%22collar+counties%22+hispanic+democratic#v=onepage&q=%22collar%20counties%22%20hispanic%20democratic&f=false 2009年9月23日閲覧。. ^ Merriner, James L. (2004). Grafters and Goo Goos:corruption and reform in Chicago, 1833-2003. Carbondale: Southern Illinois University Press. ISBN 9780809325719. OCLC 52720998. Biles, Roger (2005). Illinois:a history of the land and its people. DeKalb: Northern Illinois University Press. ISBN 9780875803494. OCLC 58526330. Bridges, Roger D.; Davis, Rodney O. (1984). Illinois:its history & legacy. St. Louis: River City Publishers. ISBN 0933150865. OCLC 11814096. Costa, David J. (January 2007). 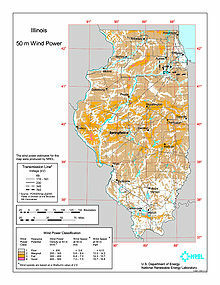 “Illinois” (PDF). Society for the Study of the Indigenous Languages of the Americas Newsletter 25 (4): 9-12. ISSN 1046-4476. http://myaamia.strackattack.com/OtherFiles/CostaNewsletter.pdf#page=9 2009年1月28日閲覧。. Gove, Samuel Kimball;Nowlan, James Dunlap (1996). 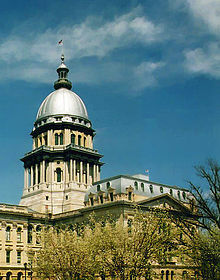 Illinois politics & government:the expanding metropolitan frontier. Lincoln: University of Nebraska Press. ISBN 0-8032-7014-3. OCLC 33407256. Grossman, James R.;Keating, Ann Durkin;Reiff, Janice L. (2005) . Electronic Encyclopedia of Chicago (Online ed.). Chicago: Chicago Historical Society, Newberry Library. ISBN 0-226-31015-9. OCLC 60342627. http://www.encyclopedia.chicagohistory.org/ 2009年1月28日閲覧。. Hallwas, John E., ed (1986). Illinois literature:the nineteenth century. Macomb: Illinois Heritage Press. OCLC 14228886. Howard, Robert P. (1972). Illinois;a history of the Prairie State. Grand Rapids: W. B. Eerdmans Pub. Co. ISBN 0-8028-7025-2. OCLC 495362. Jensen, Richard E. (2001). Illinois:a history. Urbana: University of Illinois Press. ISBN 978-0-252-07021-1. OCLC 46769728. Keiser, John H. (1977). Building for the centuries:Illinois, 1865 to 1898. Urbana: University of Illinois Press. ISBN 978-0-252-00617-3. OCLC 2798051. Kilduff, Dorrell; Pygman, C. H. (1962). Illinois;History, government, geography. Chicago: Follett. OCLC 5223888. Merriner, James L. (2004). Grafters and Goo Goos:corruption and reform in Chicago, 1833-2003. Carbondale: Southern Illinois University Press. ISBN 9780809325719. OCLC 52720998. Meyer, Douglas K. (2000). Making the heartland quilt:a geographical history of settlement and migration in early-nineteenth-century Illinois. Carbondale: Southern Illinois University Press. ISBN 978-0-585-37905-0. OCLC 48139026. http://www.questia.com/PM.qst?a=o&d=65659204. Peck, John Mason (1993) . A Gazetteer of Illinois, in Three Parts:Containing a General View of the State, a General View of Each County, and a Particular Description of Each (Heritage Classic) (2nd ed.). Bowie, MD: Heritage Books. ISBN 1-55613-782-6. OCLC 300889206. http://www.worldcat.org/wcpa/oclc/300889206?page=frame&url=http%3A%2F%2Fbooks.google.com%2Fbooks%3Fid%3DY5pKAAAAMAAJ%26checksum%3D8b8c2da173569b9ff33410019959caef&title=&linktype=digitalObject&detail= 2009年3月23日閲覧。. Sutton, Robert P. (1976). The Prairie State;a documentary history of Illinois. Grand Rapids: Eerdmans. ISBN 0-8028-1651-7. OCLC 2603998. Works Progress Administration (1983) . The WPA guide to Illinois:the Federal Writers' Project guide to 1930s Illinois. New York: Pantheon Books. ISBN 978-0-394-72195-8. OCLC 239788752.